He explains me how to head down into town and how to get back up, so off I go to take a tour off the city. Heading down through the small alleys I am reminded of the small little towns in Switzerland. Many alleys can only be passed on foot and the streets where cars can drive are still just as narrow as in Switzerland. Of course the Architecture is completely different. Special to Guanajuato is the tunnel system. 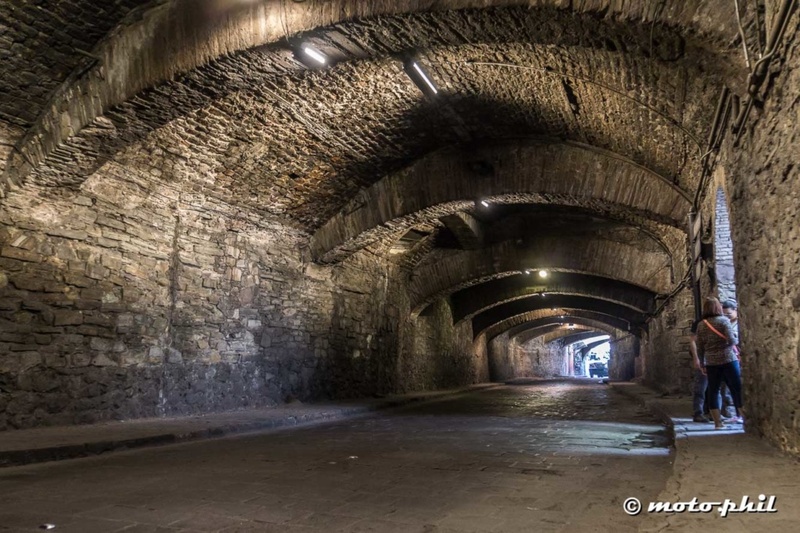 Many old tunnels that were formerly used for the water are nowadays the main way to pass around town by car, or even on foot. The tunnels can be a little confusing if you are not familiar with them, logically there is no gps signal down there and many tunnels have intersections or split up from one tunnel in two. I love the colors of the city, and there is a piece of art everywhere to be found. 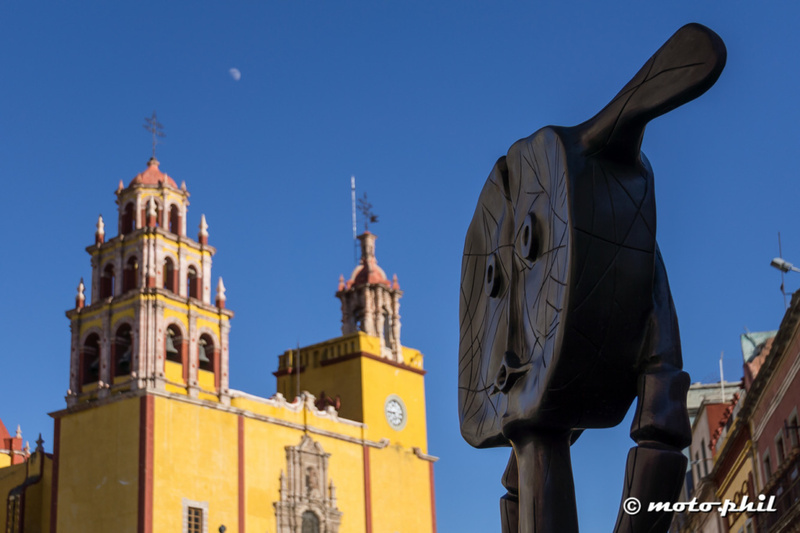 In the heart of the city, Plaza de la Paz, there is the “Basilica Colegiata de Nuestra Señora de Guanajuato” which was built between 1671 and 1696. It is painted in a colorful yellow and is the one building that stands out if you look out on the city from the mountains. Oh, art in front of the Basilica! And as in many other mexicans towns the doors are simply beautiful and just as colorful. 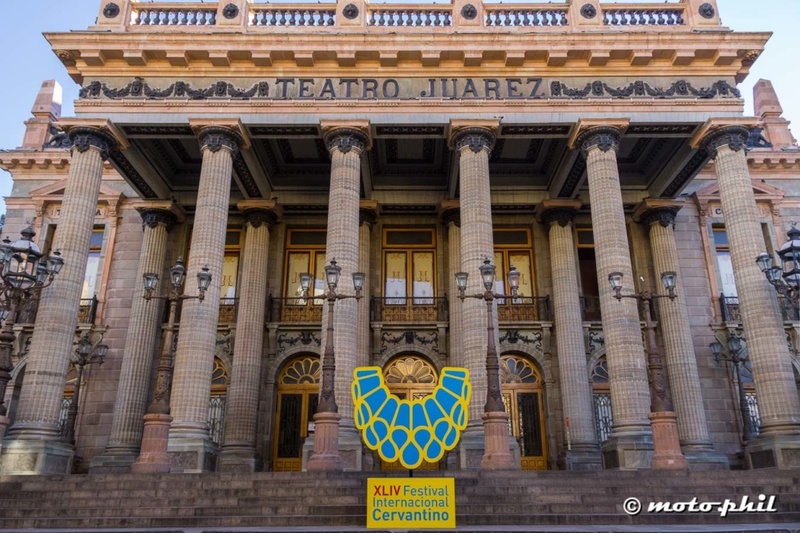 Then very close there is the Theatro Juarez, which these days of course feature some of the cultural events of the festival Cervantino. Also, the Juaraez has always been “the” place to meet other people. When a man asked a girl for a date, he would say “I’ll see you there” meaning they would meet on the steps of the Juarez Theatre. Nowadays people do still meet there, but in the times of smartphones it has become a little less frequent. Strolling through the streets I see the police playing guitar. Very interesting I think and start chatting with them. They are actually promoting jobs with the federal police. I think it’s a great idea to let the music do some magic, not that they might find more people like that but it certainly draws a lot more attention, as it did with me. When I ask them if there’s a police song I’ get my own little improvised song, very cool :) A good time to mention that I never had any issues with the police in Mexico, they have always been very friendly. I was told though, that bribing is common in Mexico City. While the sun starts to set, I start heading up to the place I stay, which is close to the Pipila Monument. I quickly check my maps and pick a road that seems to go more or less straight to my place. The road is called Del Tecolote and is quite beautiful and features nice views on the city and the Pipila Monument. View on Guanajuato from Del Tecolote, the oldest Street in Guanajuato heading into the mountains. In the very top part however there seem to be no streetlights. The wind blowing around plastic cups in the dusk does make the sceene a little spooky. Marcelo tells me later that the government tried to make Del Tecolote nice by putting streetlights all the way to the top but people just stole the bulbs, so there’s no light up there anymore. Still I am glad having walked up that street, as it turns out it’s quite historic and the oldest street leading from town to that side of the mountains. 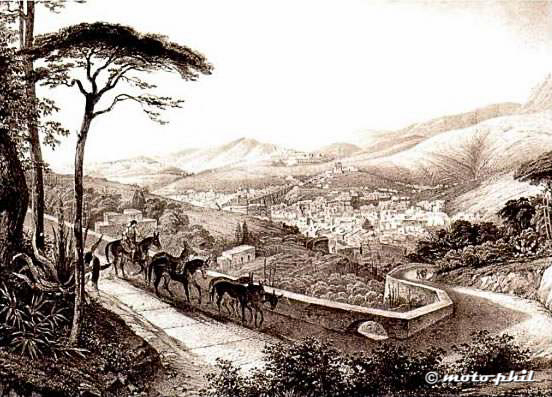 In the early days this was the route people brought the necessary things to town with their mules. 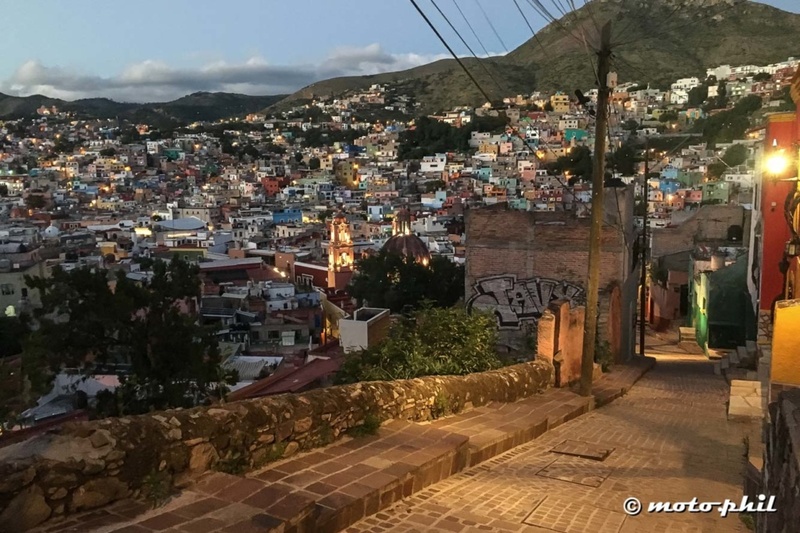 Del Tecolote is the oldest street leading from the mountains into Guanajuato. Painting found on the Internet. 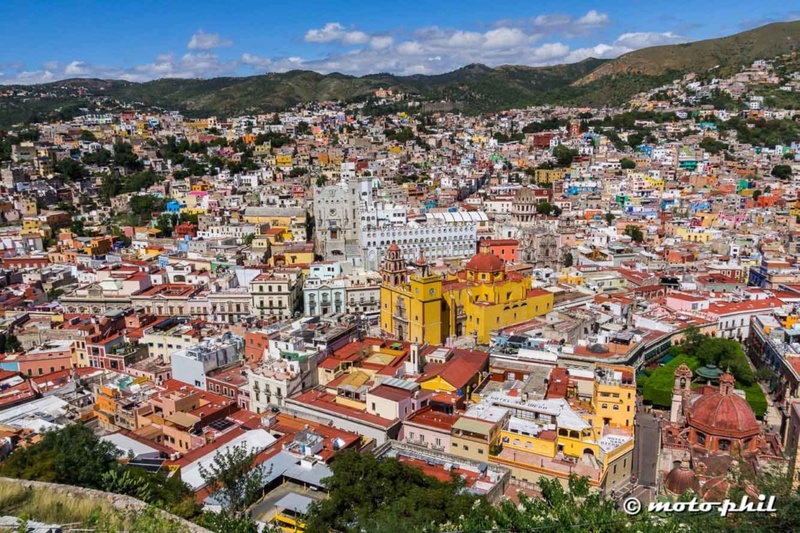 I spend a few really great days in Guanajuato, a beautiful little mountain town which has to offer quite a lot. Go ahead and check out some more photos in the gallery below! 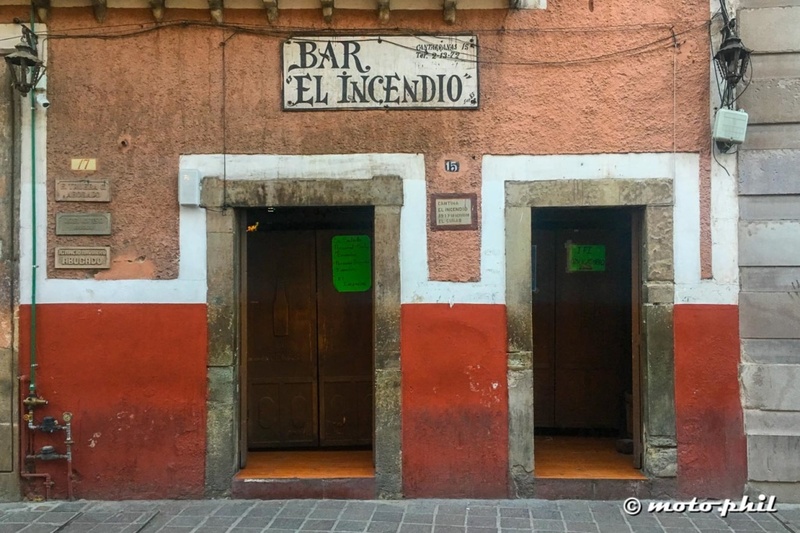 Marcelo was my host in Guanajuato, he is a very kind guy and told me a lot about the city. Warming up for a night out with Marcelo (my host) and other BnB guests. Young chap texting in front of a nice old door. I wonder where those doors go? 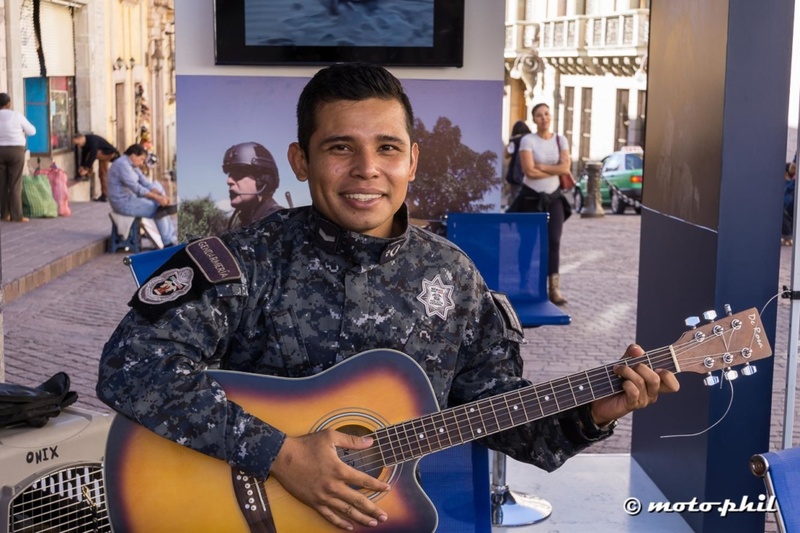 The Policia Federal in Guanajuato making some music to attract people. They caught my attention. Great articles and photos! Keep up the great work! Guanajuato is gorgeous! Great write, thanks, Philipe.